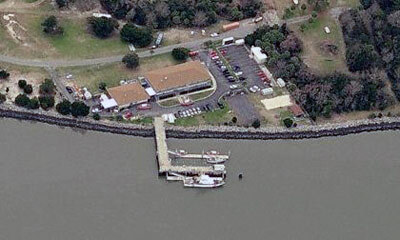 Coast Guard Station Tybee is also located on Cockspur Island and guards the Savannah River Entrance. Station Tybee, assigned to Coast Guard Group Charleston, District 7 Miami, is assigned to perform missions of Search and Rescue (SAR), Enforcement of Federal Laws and Treaties, and Environmental protection. The station covers an area of approximately 75 coastal miles from St. Helena Sound, SC to Sapelo Sound, GA. This also includes endless miles of rivers, creeks, tributaries, and marshes. The station responds to approximately 250 Search and Rescue cases per year.